So… pushed myself to watch some medical dramas… some of my LEAST favorite shows of all time. Ugh. Is there any thing more tedious than watching people being rushed about on gurneys, those annoying machines that are always beep beep beep beeping cause something has gone wrong or dropped too low or too high or whatever? A bunch of people continuously washing their hands and slicing up humans like it’s Top Chef. Gross. Clearly I am not cut out for the healing arts. I’m grateful that others are… but it’s not my cup of tea. And I am rarely interested in anything that occurs within the horror white washed walls of hospitals. But still… I thought I’d try. The first time I tried Doctor Crush, also known as Doctors, I didn’t make it past episode six. Despite the somewhat promising first episode and unique premise (rough and tumble bad girl decides to mend her wicked ways and focus on turning her life around – to become a surgeon, of all things, motivated by the suspicious death of her grandmother… and the encouragement of a hunky doctor-turned-teacher-turned-romantic-interest who also becomes a surgeon again), it quickly did a belly flop into snoozeville. After six episodes, I thought to myself… I’ll never get these hours of my life back. I must abandon ship! I must run before the love I have for Park Shin Hye is diminished. I really liked her and that older teacher dude, too… though their chemistry was off. Way off. Which dooms a romantic storyline, so the show lost its spine right there. They seemed like friends, I guess… but every time they were out having one of their “romantic” dates, the smiles of the male lead seemed fake and strained and our female lead actually seemed physically uncomfortable. The actors tried. But I wasn’t buying it. Then I gave the show a second chance, months later, and completed the series. The second time around, I did enjoy it a bit more but it still felt lacking. The tall Yoon Gyun-Sang was awkward as a physician and a character, his one sided crush on the female lead felt forced and convoluted. The beautiful Lee Sung-Kyung was slightly more interesting, as the insecure pretty girl who was used to being at the top, but her character came across as unintelligent… and she was supposed to be a freakin’ brain surgeon so I had trouble believing anyone could be so dumb and so brilliant at the same time. As I was watching, I wondered if I wasn’t being overly critical of the show. I mean, it wasn’t that bad, was it? But then cameo actors would show up and suddenly everything became exciting, interesting, and completely engaging. 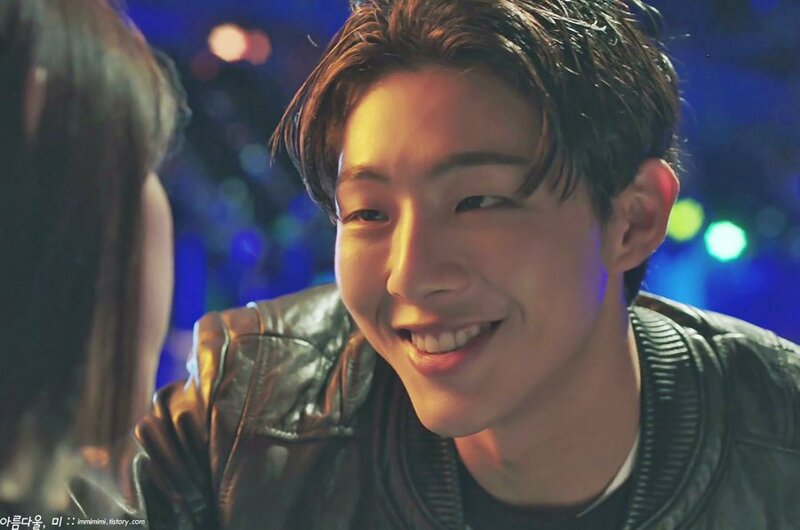 The motorcycle riding thug played by Ji Soo stole every scene he was in, for example. I also want to add that our leading lady had real chemistry with this guy… I’d love to see them paired up in a show, wouldn’t you? The grandmother? Brilliant. Namgung Min came in as the father of two young boys who both had brain tumors – around episode 13 – and I was overwhelmed with how he could turn a bit part into the most profoundly moving few episodes in the show. Namgung Min was the nail in the coffin, in my opinion. After he showed up, and basically turned every other plotline into a stale piece of bread, I knew I wasn’t being overly judgmental. 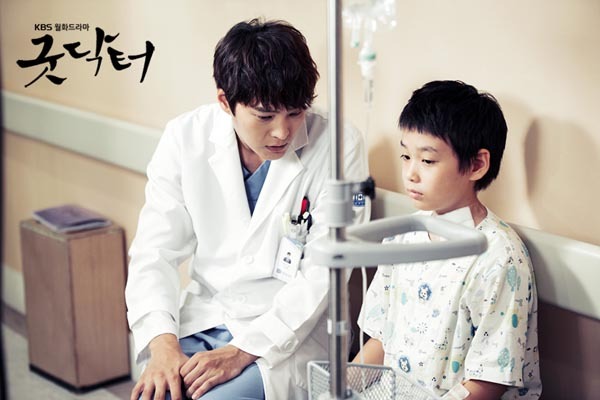 There’s a scene in the last episode where a stern father is coming to comfort his grown son – who is facing a serious surgery. And the son confesses he’s terrified his life will be ruined after the surgery, or worse, he might die. And the father grabs his hand and yells at him that he won’t die. And then both are overcome with emotion, the son crying, the stern father unable to look at him turns away but still holds his hand. Now, that scene was amazing. And it was two side, side characters. This is my problem. Why are there no scenes like this with our leading characters? Or even the principle side characters? Doctors just wasn’t that great. Tolerable, yes. Memorable? No. Overall Rating: 6.5/10. A Flatlined Medical Romance. Good Doctor was much better. Even though I didn’t love it, at least it was interesting. An autistic genius doctor struggling to overcome his ticks and social limitations to function properly enough to make it as a successful surgeon? Okay, I’m intrigued. The actor was brilliant, too. He was brilliant in Bridal Mask and he was brilliant in this. 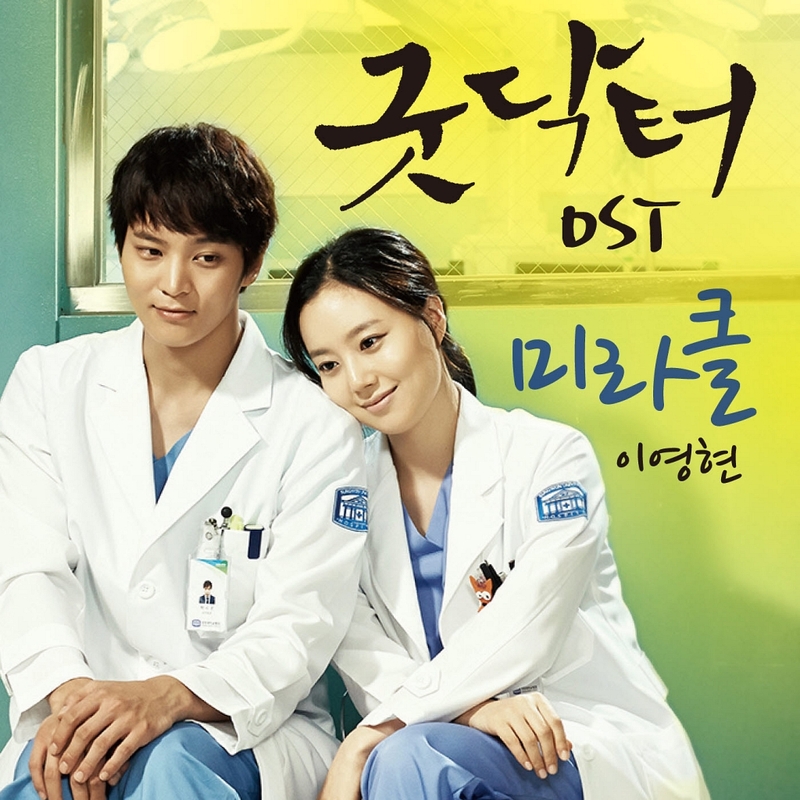 Moon Chae-Won was also lovely, as always, as the sorta doofy but genuinely sweet surgeon who took him under her wing and into her heart. Though I liked her, she never felt fully believable as a surgeon. Opposite this sensitive pair, we have just about everyone else… a well rounded cast of doctors and patients. And of course, the head of pediatrics, the hunky young doctor who spends the majority of the show screaming at or belitting our autistic doctor. It’s rough. There’s a lot of abuse disguised as tough love, and a lot of flat out abuse. And yet… I don’t know… I wasn’t entirely emotionally invested since the outcome seemed obvious from the first episode. I would have stopped watching this show – but it had something unexpected…. The Good Doctor provided small moments of beauty. Almost painful in their sincerity. If it had been delivered in another show, it would have seemed too corny, too cheesy, too force-fed lesson-of-the-day… but because they snuck it in between bloody operations and screaming doctors, it worked. These moments were largely delivered by the autistic doctor, but not entirely… sometimes they came from the children, or the staff, or the just through an expression or a moment of understanding between two characters. The romance was sweet but also kinda… hm… well, it’s difficult. The man has the emotional maturity of a 10 year old. He’s incredibly smart and sensitive and kind… but it’s hard to imagine a night of passion with him in the bedroom. Though I am no expert on the subject. Perhaps that’s just another thing he would surprise everyone with and also be extremely good at… who can say. It seemed unlikely. But whatever, that’s not all there is to romance, after all, as this show clearly demonstrates. Our lead male offers love in a strangely pure form and our leading lady is able to receive it with equal kindness of spirit. They were, in a way, a wonderful couple and truly unique in the history of k-drama. 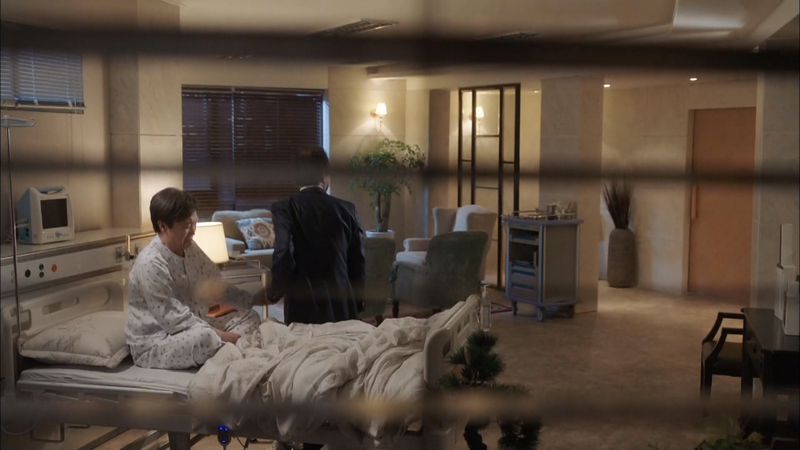 I’m not sure I’d recommend either… but if you’re gonna watch a medical drama – Good Doctor is your best bet. I did enjoy Descendants of the Sun… though that’s more of a military/medical hybrid. The earthquake eps were, I agree, the best arc in the show. I have not seen Doctor Kim – I may give it a shot! Thanks for the recommendation.